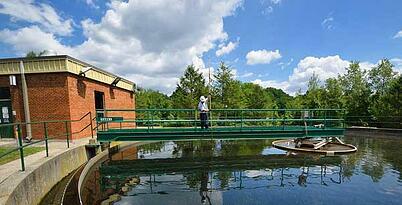 Across the globe, Veolia is recognized as a top provider in water, waste and energy solutions. By providing best-in-class solutions across industries, Veolia’s customers receive recognition for carbon emission reduction, clean water, health and safety and much more. We’re always proud to recognize our customers for their sustainability goals, and are honored when we help them achieve these goals. In recent months, Veolia and many of its customers have been recognized with awards for exceeding industry and regulatory standards in water safety and promoting sustainability. 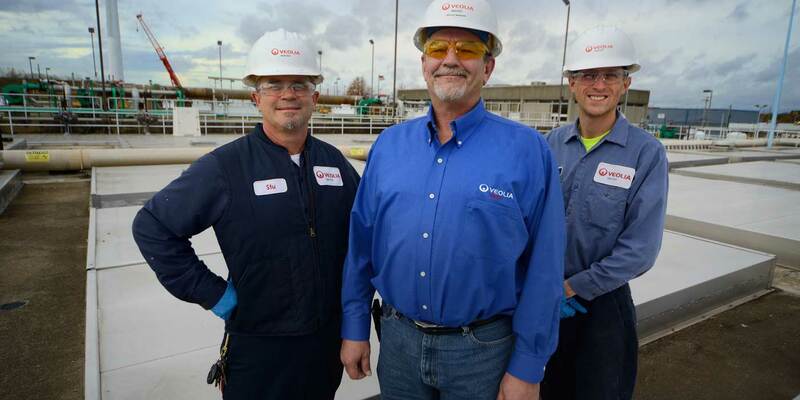 In 1990, Smithfield contracted Veolia to help address odor problems at the wastewater treatment plant. Since then, Veolia and the town have implemented programs and systems that not only meet some of the most stringent discharge requirements in Rhode Island, but consistently exceed them. This year, for the 11th time, Veolia received the A. Joseph Mattera Award for outstanding commitment to safety in the small wastewater treatment facility category by the Narragansett Water Pollution Control Association (NWPCA) for its management of the wastewater treatment plant. For more than 30 years, Veolia and the City of Lynn have worked collectively to provide reliable, cost-effective, safe and high quality water to residents of Lynn and neighboring communities. Recently, Lynn achieved one of the top scores in the large and medium Community System program in the 2018 Public Water System Awards Program of the Massachusetts Department of Environmental Protection Drinking Water Program. The commission was also recognized for its outstanding performance in 2017 in going above and beyond meeting strict and changing compliance regulations and consistently providing best-in-class performance over the years. Since 1989, Veolia and the Town of Sturbridge have provided efficient and cost-effective operations of the town’s groundwater and wastewater treatment plants. The 20-year partnership, renewed 5 times, has increased plant capacity by 50 percent and reduced unaccounted-for-water by 30 percent. As a result of impressive work throughout the year of 2016, the Sturbridge, Massachusetts Water Treatment Plant received the 2017 Water Fluoridation Quality Award from the U.S. Centers for Disease Control and Prevention (CDC). Our Environmental Industrial Services Team in Canada was crowned the Gold Award Winner in the Innovation-Large Companies category by the Committee on Standards, Equity, Health and Safety at Work (CNESTT). At a ceremony at the Centre des congres de Quebec, the team was celebrated for its innovations in the area of workplace accident prevention. In particular, the award recognizes the restraint system Veolia developed to access hard-to-reach locations for cleaning underground pipes that ensure the safety of employees by reducing the need for workers to perform manual alignment. Resourcing the World does not only apply to protecting the environment and its resources. It is also the code to which we perform our operations across the globe. Our customers entrust us to provide solutions that help them meet their sustainability goals safely, efficiently and cost-effectively. Each year we are honored to see our customers being recognized for their efforts to Resource the World. Like us on Facebook to see more about the solutions we offer our customers!